Home / dream / mlm / mul / Reviews / travel / trips / vacation / ventures / world / An Ex-Member's WorldVentures Review. Is It A Scam? An Ex-Member's WorldVentures Review. Is It A Scam? A WorldVentures representative who I knew from a previous job reached out to me to catch up. Then a few conversations later presented WorldVentures on a silver platter. He connected a three-way call with an experienced woman within the company to cosign the business. They preferred I sign up at that moment, but I took my time to make an informed decision. I decided to read up on the company; digging through their terms and conditions, other reviews online, and Better Business Bureau (BBB). It seemed like a sound investment, also considering I am already a traveler. So within 24 hours, I signed up for the vacation club as well as a sales representative. What really interest me was going on vacation on stock! This is what they call DreamTrips. Just like Sams club, you pay a membership fee for bulk vacations which means low prices for consumers. Members may meet up on vacation, and some of them are all-inclusive. Also, the monthly rate you spend converts into points to use for a DreamTrip. They had just launched their app when I joined in which I thought was cool to browse your trips and post pictures of you past vacations. Flights weren't included, and you had to book through other channels, which wasn't a problem with me. Seemed like a winner! The commission as a sales representative, to me, was a bonus. Disclaimer: I am not a WorldVentures representative promoting or selling the business. This post is about my experience with the company, and in no way trying to persuade anyone to sign up. You'd have to make an informed decision on your own terms. To stay on the safe side of the law, WorldVentures sell DreamTrips as its product. You can make money by selling the product, but also by recruiting other salespeople and gaining a commission as well. Meaning, if you recruit enough people on your right and left wing, you can possibly make a sustainable income. That is because those people may recruit even more in their lineage, and you get paid even more money. BUT it is said only 20% of representatives earn a sustainable income, while the other 80% do not make little to none. "There are no guarantees regarding income. The success or failure of each Independent Representative in WorldVentures, like any other business, depends on the Independent Representative’s own skill, dedication, personal effort, leadership qualities, and market available." Immediately after I signed up, my mentor stressed that I must go to the training event to learn how to sell the product. I made a commitment I would give it a try for a year, if it doesn't work out, then I would release myself from the club. So why not go all in? Therefore I put up a few hundred bucks and signed up for the next big event in Houston, TX. The first day, I waited in a line wrapped around the building to check-in for the event, then went inside for the show. There was loud music, people screaming, and testimonies of how WV changed their lives. There were very emotional rags to riches stories in which I was very touched. It was pretty much like a church service once you think about it. This lasted for a few hours with more music and dancing. After this event was over, I went to my hostel to get ready for the next event. When home, I decided I was going to go all in. Especially after the euphoric experience in Texas. I printed a list of all my friends on Facebook and began to share WV with them. They teach you all of that. Some representatives will reach out to you after finding something in common to talk about. Then go in for the kill about the company. I decided to do that at first, but people felt betrayed as if I only was interested in my agenda (which was true). So I decided to be upfront with people from the get. After a few presentations, I was able to sign up two people. (But hey my vacation club points were accumulating). Close to the end of the year, unfortunately, I came across a few challenges with the vacation packages and as a sales representative. There are tons of vacation on the website to choose from across the world. From places in the U.S. to Spain, China, Indonesia, and China. The prices are pretty decent as well. But upon searching vacation packages, the lower costs, the shorter the stay. For instance, you can pay for an all inclusive vacation in Bangkok for three nights, for a low price, but is it worth the expensive plane ticket? For me, it was not. One of the benefits of the club is you can decide to go solo and feel welcomed by other WV travelers on vacation. But, the price jumped drastically selecting one person. So I would try to convince my friends and family to go on vacations with me and failed. Therefore, if you have a travel buddy or a group of people who like to travel, this may not be a challenge for you. In my opinion, upon succeeding with the company, you need a support group. They need to help you with your presentations initially, and you with theirs. You need to be encouraged along the way. Otherwise, you lose momentum quick. Your mind needs to be in a vortex to not be side tracked with any other influences. The training event helped, but they are typically priced high. I attended a few conference calls diligently. But I had more support, I probably would have remained a rep for a few more years. As stated the income disclosure statement, market availability is one of the key factors that contribute to the success or failure of a representative. I live in a small time where most are happy where they are, don't like to travel that much, and are not driven to make money, and fine with the 9-5 job. Most aren't risk takers. You can imagine the faces on individuals while making a presentation. This type of things was foreign to them. My mentor would help the deal with a conference call. But I would have to go an extra mile, "dance a little bit more," to convince them to sign up. What is your "why." This is what a lot of speakers declared at the event. Why are you doing this? For your family? I recognized hearing a lot of stories, people were going to lose their home or already homeless, had families, had a sick parent or grandparent they needed to take care of, etc. I believe upon success with the company, you need a STRONG why. Just to make money, in my opinion, is not enough. Something that will get you out of bed every morning, because you have nothing to lose. For me, I did not have a strong "why." Being that I had n kids, with a good job, good business, my parents are taken care of, and already able to travel pretty well: there was nothing to keep me dedicated enough to the company. A year had passed, and only two people signed up, and I told my mentor I would not be continuing with WorldVentures as a sales representative. I would be keeping my membership and take advantage of the already accrued points to go on my first DreamTrip. He wanted me to sign a document to transfer my slot in his lineage to someone else. That is what I did. Come to find out, my vacation club was also canceled. Not only that, they charged a transfer fee. I also got an email that my password was changed. Very fishy! So, I called WorldVentures and complained of course. They said I should have indicated on the document that I wanted to keep my vacation club membership. I argued there was nowhere in their terms and conditions that stated I had to do that. Also, there was nowhere in their terms and conditions where I would be charged to transfer. They wouldn't refund my money. Therefore, I had no choice but to go to the Better Business Bureau. They refunded the transfer fee as well as the points (which converts to dollars) lost due to canceling my membership. So is WorldVentures a scam? I say only if you do not know what you are getting into. It is safe to say the demise did not end amicably. Funny how I did not find a flaw when researching their paperwork to join, but there were issues when I decided to cancel. If I didn't read the fine print, I would have been out of luck. This is something to take into consideration when entering. What if it doesn't work out? Will they try to hit you with extra fees that are not in their terms and conditions? Go ahead and check out the BBB complaints, some are similar to mine. It is said only 20% of representatives earn a sustainable income, while the other 80% make little to none. That means to be successful, you have to be completely dedicated and driven. You pretty much have to eat, sleep, and drink WorldVentures to beat the odds. Is that something you are ready for? You can always sign up for DremTrips only, that is an option. But don't think this would be the best choice if you travel solo at times considering the price jump. In my opinion, this vacation club is more beneficial for families, also considering babies are free. WorldVentures is just not for me. Besides, there are plenty of other ways to travel at discounted rates! Actually, just before I signed up for WorldVentures, I already had booked a one week trip to Europe at a great deal. Please check my Travel Tips section for more info on how to find the best travel deals. Safe travels! I appreciate your honest review about your experience. While it does have its promising benefits, there is always a drawback to go with it (because why would they invest so much time and effort recruiting others as well). It is always refreshing to hear about this from someone who have been a part of because you know the inner dealings too. This goes to show you that even when you really do your research, you can still lose money. I'm glad you were able to get your transfer fee and vacation points back!! Thanks Jojo for what I felt is a pretty open review. I actually found you way of writing and explaining quite informative. 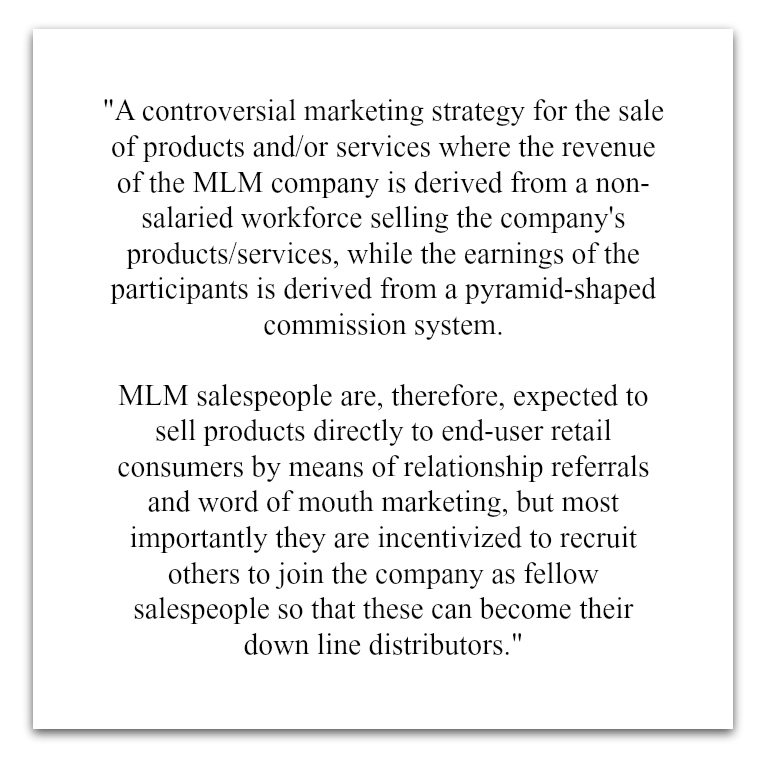 So far I've read of MLM here and there but never really got into understanding it, which I now did. I don't think though this kind of program would be suitable for me (get too awkward selling my own work already lol), and even if your initial experience was good, it doesn't sound like a fight I would like to go through when quitting a program.. Thanks for the honest review. I have also been approached recently by a similar company. I will have to check properly before I commit to something. A very honest and clean article. It was really interesting to once read an experience of someone who actually worked for/with them. I think with this article you could prevent a lot of people from getting into something they maybe actually do not want to. I've heard this type of stuff really works for some people and they love it. It seems like a lot is involved. I'm like you this wouldn't be for me. Thank you for the review. I had a lot of questions about this particular MLM . Ive been approached by a similar company and had a lot of questions. I am a home based travel agent and recently someone was pressuring me to link up with DreamTrips. I had experience in the past with a health supplement based MLM while I was working as a physician assistant and I did not like the end results. Also MLM programs don't suit my personality well. Thanks for sharing your entire experience with this program. I'm glad the BBB had your back and that you don't feel like you wasted too much time on it! Pyramid schemes never seem to be any good, its always misleading what they can offer i feel. its a shame you had such a bad experience with them, but it opens the doors for new opportunities! Very interesting to read, I often get asked to sign up but i just dismiss it. To be honest I'm kinda glad i do and i wouldnt be able to give it my all. Atleast you can say you have tried to and it is great to read your opinion on it. Good for you for trying it out and seeing if it worked for you. I always am wary of vacation clubs because I always feel like there are some catches you don't think of but this could work for a certain type of traveler. Insterwsting share! Yeah, I don't think that is something I would be interested in. The way flight deals come up, I do a better job on my own. I have joined two vacation clubs in the past and I HANDS DOWN can't stand them. The first one just let me out of the contract because I complained so much. In this day and age who really needs them? There are so many awesome deals online. You really did your research and made an informed decision but too bad about the hassle you still had to go through. I appreciate the honesty and straightforwardness of you article. I think this may help a lot of people who may be thinking about it. I agree that you should have a very strong "why" (this is for any endeavor, really). Otherwise, you may not have the motivation to do what it takes to really succeed. I always report spam on emails I get like this. Glad you were able to get your money back! Somethings are just too good to be true! Eventually, all pyramid business die off I have never been a fan of something that requires me to get others to join in order to make money or win something. I can see why! And yes, I agree they will. So many have fallen off. If one would get into the business, think they should think about saving up and investing in other things later. Thanks for reading! This is an interesting perspective, thanks for sharing! People try to get me to sign up for WV all of the time and I always let them know I'm not interested, it's just not for me. I'm so glad that I read this. My cousin recently proposed a silmilar travel club to me. Like you said, you would have to eat and sleep all things Dream Trips to make a sustainable income. Thanks so much for sharing your experience. I have had people pitch MLM things to me under the guise of catching up or having lunch. I am amazed by the rock concert/church aspect of it. It is fascinating. Glad you were able to get your money in the end. I wonder why, with so many complaints, they haven't changed the policy or put it in writing yet. Honestly, it pretty much was just psychology. They know what they are doing, trying to appeal to people to keep selling their product. And I don't know if they have since I left. Think it is safe to say, when an old friend wants to catch up for lunch, you're probably gonna get pinched a MLM lol. Thanks for reading! And that is totally fine. I know a lot of sales reps consider that as a weakness and may put you down. You know what is for you, and what is not for you. Thanks for reading! Eep, I'm just glad to hear that you ended up getting some sort of refund after contacting the BBB! Thanks for sharing the experience, it's good to go into something like this with both eyes wide open. I'm always skeptical of these pyramid schemes kinda things. Really not for me. Glad you get out in the end! I can't see MLM for travel but if it works for some, go for it. I wouldn't join as I believe travel experiences should be planned and booked on your own. Just my preference. I'm not sure...I'm really not into MLMs. Their marketing/business model is unsustainable, and many of my friends who put all their trust in MLMs got into financial trouble. Some people may say that WorldVentures is an exception because of this and that reason. But I'm always hesitant when it comes to MLMs. Thank you very much for sharing your experience with WorldVentures! The membership and the sales representative offer does sound like a great bargain, but sad to hear the deal did not go as you expected. Like you mentioned, perhaps one must dedicate their entire time to succeed in this venture, anyways it is lesson for us travels on how these deals go down. Thank you very much for sharing your experience with WorldVentures! The membership and the sales representative offer does sound like a great bargain, but sad to hear the deal did not go as you expected. Like you mentioned, perhaps one must dedicate their entire time to succeed in this venture, anyways it is a lesson for us travels on how these deals go down. Yikes! Sorry to hear that. Yeah, I heard of a guy who was "high" on the hype of the events going from event to event. But didn't get any sales. He got discouraged because he became broke, and left the business. So not that much of an exception. Thanks for reading! Yeah, it is not for everyone. The Dreamtrips were definitely too constrained for me. Thanks for reading! I think that's the same thing that happened to some friends of mine. Oops. I heard about WV and it was over hyped in one of my travel forums. You'll be doing me a good favour of earning their respects when I drop this shock on them. But you are strong to demand for refund and get it back, someone like me would have just given up. I'd be checking your travel tips for nice travel deals. Wow, I actually didn't know about this, thanks for sharing! I think the Solo and Short travel points are very important to note and sorry to hear how they ended it with a fee, very fishy, thanks for sharing! Awesome review! I always say, never trust other reps with things like wanting to cancel your sub...I would always contact their corporate office first to ask any and all questions and if there are any fees associated with canceling. Sorry this didn't work out for you, good luck!